Since gaining independence, Belarus has never participated in proper investor-state proceedings. Nevertheless, in late 2017 and 2018, Belarus faced a record-breaking three investment arbitration claims. A Dutch investor in a Belarusian financial institution and two Russian investors in the Belarusian manufacturing registered their claims against the state. All three investors accused the Belarusian government of stripping them of their Belarusian assets and breaking mutual investment treaties. Such claims potentially harm the image of Belarus for investors, despite the success of such large investment projects as the High-Tech Park and Great Stone Industrial Park. Although Belarus occupies a remarkable 37th place in the Doing Business ratings, the state’s attitude towards foreign investors remains far from perfect. On 22 March 2018, a Dutchman who had invested in a Belarusian financial institution, JSC Delta Bank, registered a claim at the International Centre for Settlement of Investment Disputes (ICSID) in Washington. According to the Dutch claimant, Belarus breached a bilateral Dutch-Belarusian investment treaty. Prior to 2015, the Dutch claimant had held 75% of JSC Delta Bank, with the remaining 25 % belonging to a Ukrainian businessman, Mykola Lagun. In 2015 Belarus’s Central Bank stripped JSC Delta Bank of its licence. The Belarusian authorities maintained that JSC Delta Bank illegally withdrew money from the country and failed to meet its obligations to creditors. The authorities initiated several criminal cases against the bank’s top management on charges relating to the withdrawal of funds. JSC Delta Bank was later declared bankrupt, yet the bank’s liquidation procedures still continue. 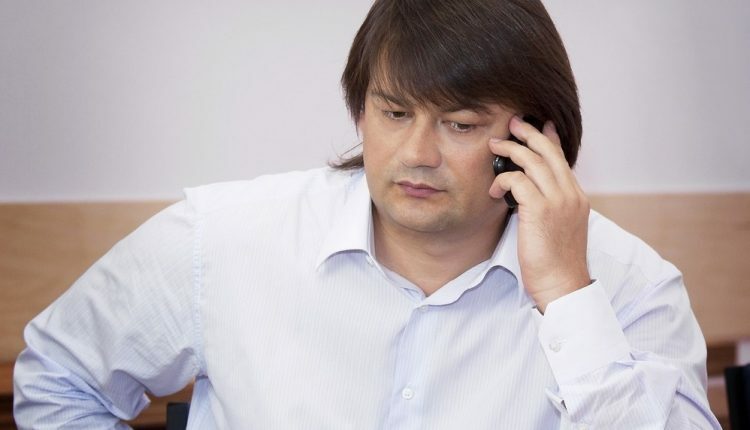 By 2016 JSC Delta Bank’s part-owner, Mykola Lagun, had threatened the Belarusian authorities with the international courts. Interestingly, Lagun, also retained partial ownership of Ukraine’s Delta Bank until 2015. With the bankruptcy of Delta Bank the same year, the country’s deposit guarantee agency reportedly paid out more than $600m to depositors. Lagun has been cooperating with Ukraine’s investigative authorities on charges of failure to meet the Delta Bank’s obligations to Ukrainian creditors. The JSC Delta Bank’s case became the third investment arbitration case against Belarus since late 2017. On 31 January 2018, Russian company Grand Express also registered the largest arbitration case against Belarus with the ICSID in Washington. The Russian company claimed that Belarus breached two treaties protecting foreign investment in the Eurasian Economic Union. Prior to 2015, Grand Express owned a 74% stake in the Asipovichsky Carriage Works (AVZ). The remaining stake belonged to the Belarusian Railways (BelZhD). The partners intended to build a plant with a production capacity of 2,500 freight cars and 2,000 tank containers per year. Grand Express participated in the plant’s infrastructure building and acquired modern equipment. Nevertheless, in 2015, the parties quarrelled regarding the purchase of rail wagons. Grand Express maintained that the Belarusian government and BelZhD failed to meet their obligations; the Belarusian authorities, on the contrary, blamed the Russian stakeholder. Grand Express failed to acquire compensation for the built assets from the Belarusian authorities and, in March 2017, AVZ filed for bankruptcy. On 15 November 2017, the Russian company Manolium Processing informed the authorities of their arbitration claim against the Republic of Belarus. Similarly to Grand Express, Manolium Processing accused the Belarusian authorities of breaching the 2014 Treaty on the Eurasian Economic Union. The amount of the claim reached $200m. The cooperation between Manolium Processing and the Belarusian government began in 2003, when Manolium’s owners, Russian citizens Aram Yekavian and his partner Andrei Dolgov, won a land plot tender in the centre of Minsk. The Russian investors planned to build a business centre and a five-star hotel at a total cost $200m. In return, the investors agreed to invest $15m in a trolleybus depot nearby and $1m into the National Library construction fund. As a result, Manolium Processing had built a trolleybus depot, however, the Belarusian authorities failed to transfer the land plot. The Russian company asked for the compensation over the built depot, yet the Belarusian authorities maintained that Manolium Processing breached its obligations to the investment contract. The Russian company further tried to restore its rights in Belarusian courts, however, the courts also failed to secure the compensation for the depot and obliged Manolium Processing to pay damages to Belarus. In early May 2017, the Russian company submitted a pre-arbitration request, thus allowing Belarus six months to resolve the dispute amicably. Nevertheless, the sides failed to reach a pre-arbitration settlement. Currently, Manolium Processing requests compensation of $171m in lost profits and $37m over the expropriated property. The hearings will take place in summer 2019 at the Permanent Court of Arbitration in Hague. The Ministry of the Economy will represent Belarus. The largest investors to Belarus come from Austria, China, Russia, Ukraine, and the United Kingdom. On the verge of the growing conflict with Russia, Belarus will have to increase and diversify its foreign investment flows. This will allow to modernise the national economy and decrease the economic dependence on Russia. At the same time, according to Jason Pellmar from the International Finance Corporation, Belarusian legislation still lacks proper legal protections for foreign investors. As a result, Belarus inevitably makes mistakes in dealing with foreign investors. Should the Dutch and the Russian claimants win their investment cases, other investors might consider applying to international courts rather than conduct difficult talks with the Belarusian authorities. Belarus might also reconsider its rough attitude towards foreign investors. The Belarusian government might finally realize that unwise stripping foreign investors of assets not only results in high compensations but also in the country’s reputation damage.